A recent Municipal Historic Resource listed on the Alberta Register of Historic Places is Bremner House, located in rural Strathcona County. It is a large two and one half storey residence constructed in the early 1900’s. Heritage values associated with Bremner House include the aesthetic significance of the scale, style and location of the building as well as its representation of the cultural growth and development of Strathcona County during the first half of the 20th Century. To read more about the significance of Bremner House, and to view additional photos, check out the listing on the Alberta Register of Historic Places. Are you curious if places in your community are listed on the Alberta Register of Historic Places? Complete an Advanced Search by “municipality” and see what is found. 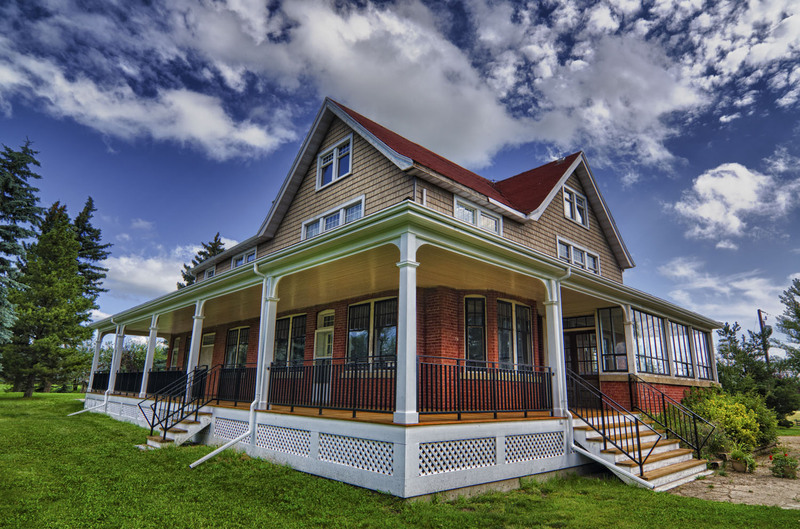 Only sites formally designated as either Municipal Historic Resources, Provincial Historic Resources or Registered Historic Resources are listed on the Alberta Register of Historic Places. 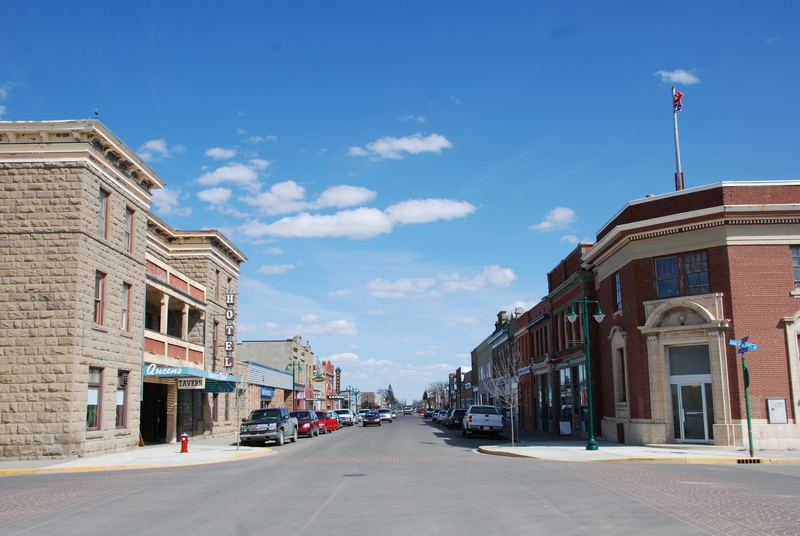 A community rich in Alberta history – boasting not one but two National Historic Sites of Canada – the City of Medicine Hat recently had two of its designated Municipal Historic Resources listed on the Alberta Register of Historic Places. 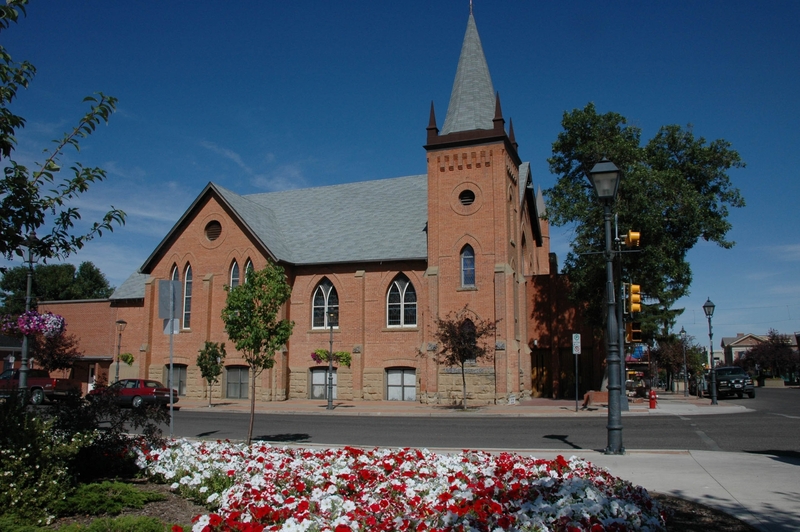 Significant for its status as the oldest church building in Medicine Hat, and the home of the City’s oldest religious congregation, St. John’s Presbyterian Church was listed on the Register in late 2012. Just this week, another historic place designated by the City, the Merchants Bank of Canada, was also listed on the Alberta Register of Historic Places. Constructed in 1899, the Merchants Bank is valued not only as the first permanent bank branch in the City, but also as an important building constructed of brick, in a city where brick was historically an important and characteristic local material, and brick-making a key industry. 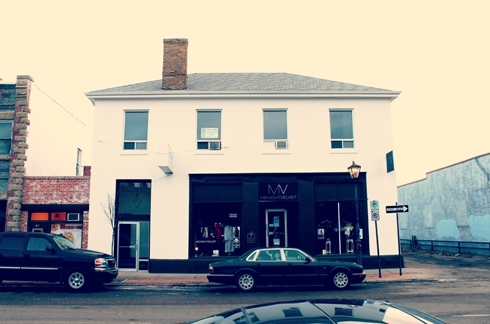 Congratulations to the City of Medicine Hat and the owners of these two properties for being listed on the Alberta Register! As many of you may already know, on January 9, 2013, Minister of Culture Heather Klimchuk launched a recruitment process for members of the Premier’s Council on Culture. Members will represent the range of sectors responsible for cultural activities and experiences – the arts, heritage, multicultural and nonprofit/voluntary organizations, as well as creative and cultural industries, youth and corporate partners. The Government of Alberta will be recruiting up to 20 new council members, who may serve terms of up to three years. The application period ends February 28, 2013. 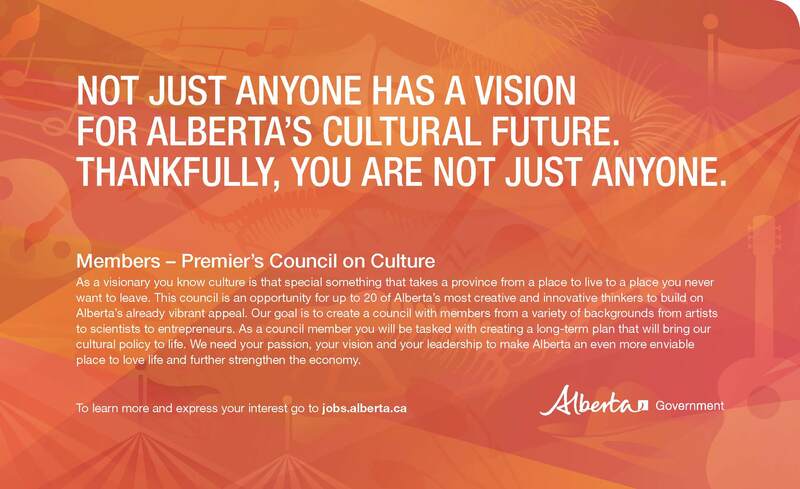 If you are interested in being a cultural leader for both your community and Alberta, apply on the Government of Alberta Jobs Website (Job ID# 1015041). Alberta Wheat Pool Grain Elevator (DSC_5353 Historic Resources Management Branch). Today’s blog post will no doubt please all of our railroad and grain elevator enthusiasts out there in the ether. 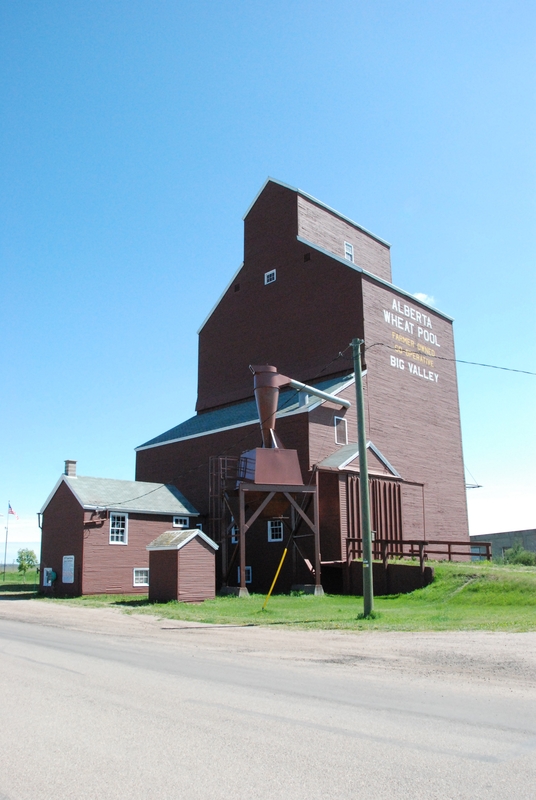 On August 27, 2012, the Alberta Wheat Pool Grain Elevator in Big Valley was designated as a Provincial Historic Resource and added to the Alberta Register of Historic Places. This grain elevator has heritage significance due essentially to the fact that it is…, well, it’s a grain elevator. 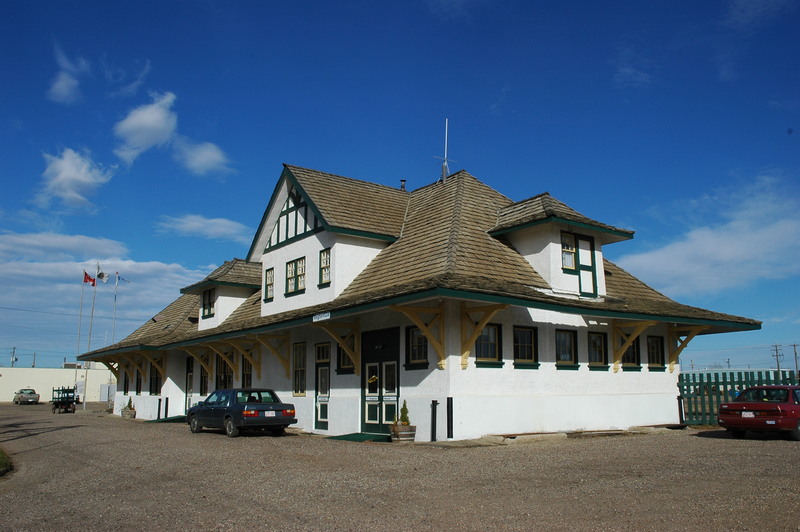 These once dominant, landmark structures in rural Alberta have become iconic symbols, speaking to the province’s agricultural, social and railroad transportation history. This particular elevator also contributes to the cultural landscape of Big Valley, aiding in the visual communication of the community’s history as one of the province’s busiest railroad divisional points. Wood-cribbed grain elevators such as the Alberta Wheat Pool elevator in Big Valley were once a dominant presence in the lives of most rural Albertans. These imposing, structures stood out on the horizon and could be seen from miles around. They were essential facilities for the sorting, storage, and transportation of grains and, as such, they also served an important social function as meeting places for area farmers. Although there were some variations in elevator design, size and services, they remained consistently similar in basic design and form over the years. This Alberta Wheat Pool grain elevator was a relatively late addition, being built in 1960, but it shares much with its earlier predecessors, notably its vertical orientation, gable-roofed cupola, shed-roofed drive shed with earthen ramps and overall lack of fenestration. View of the Alberta Wheat Pool Grain Elevator, Big Valley (DSC_2647 Historic Resources Management Branch). In 1912, Big Valley had been selected as a divisional point on the Canadian Northern Railway’s (CNoR) Battle River Subdivision. At one point it possessed a large railyard and a number of important railroad maintenance facilities and storage areas for fuel, water and freight. Largely supported by the railroad, Big Valley was a bustling centre with a large population. 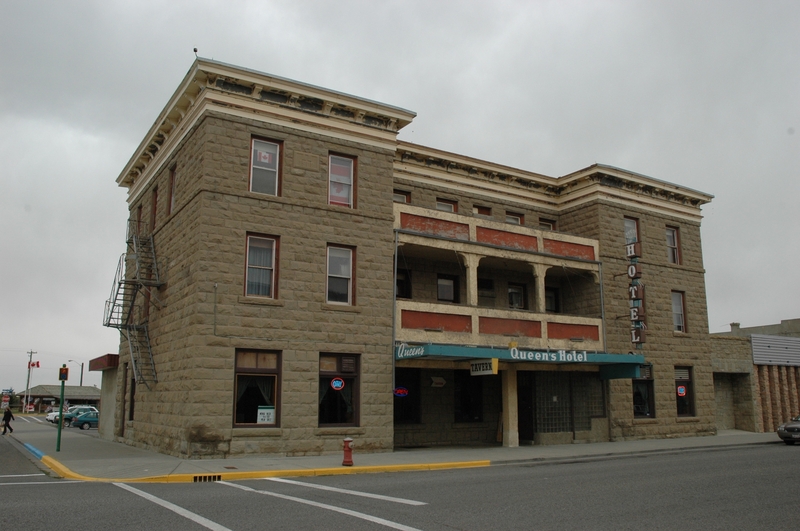 In the late-1920s, Big Valley’s boom period came to an end when the divisional point was moved to Mirror on the former Grand Trunk Pacific Railway line. 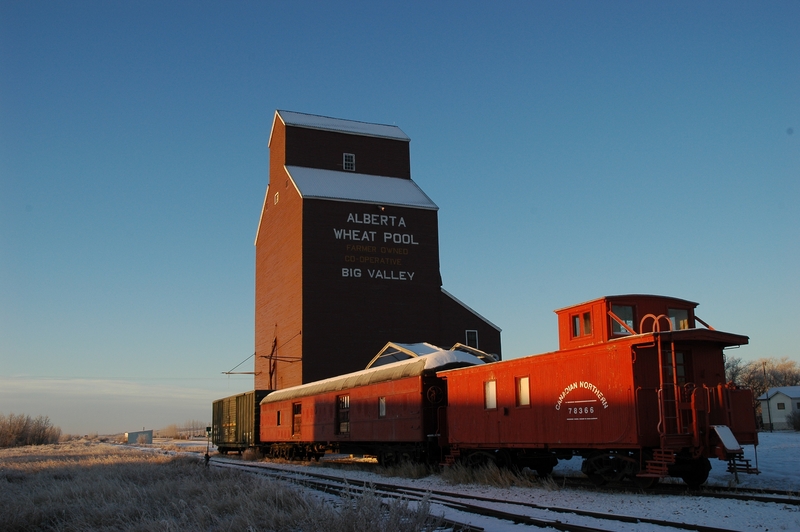 Although the 1960 Alberta Wheat Pool grain elevator was built long after the Big Valley’s glory days as a divisional point, its presence adds to the interpretation of the community’s railroad heritage, particularly when considered together with the presence of other designated historical resources, such as the historic CNoR railway station and the remains of the roundhouse and frequent visits by the Canadian National Railways 6060 steam locomotive. More information on the Alberta Wheat Pool grain elevator in Big Valley can be found on the Alberta Register of Historic Places. Over a hundred sites later, Strathcona County has completed a Municipal Heritage Survey. From residential and commercial buildings to churches, schools, agricultural buildings and cultural landscapes, the County has documented a wide range of potential historic places located in all its urban and rural corners. (IMG00387-20121017-1934.jpg) Attendees at the Brookville Community Hall open house. Historic Resources Management Branch, 2012. Strathcona County is located directly east of the City of Edmonton and to the west of Elk Island National Park. With 126,620 hectares and a population of 92,490, Strathcona County is one of the more populous municipalities in the Edmonton area. It is also one of the few specialized municipalities in Alberta. This classification is designed to accommodate the unique needs of a municipality that contains both an urban centre and a large rural area. Approximately seventy percent of Strathcona County’s population lives in Sherwood Park (an urban service area) while the remaining thirty percent of the population is divided between eight hamlets (Antler Lake, Ardrossan, Collingwood Cove, Half Moon Lake, Hastings Lake, Josephburg, North Cooking Lake and South Cooking Lake). This mix of urban and rural places and spaces provided a diverse array of potential historic places. The one hundred and sixteen sites documented were photographed and geographical, historical and architectural details were recorded. Over the coming months, the gathered information will be placed on the Alberta Heritage Survey database. Throughout the project, area residents were invited to learn about the initiative and to provide additional information on the documented sites. 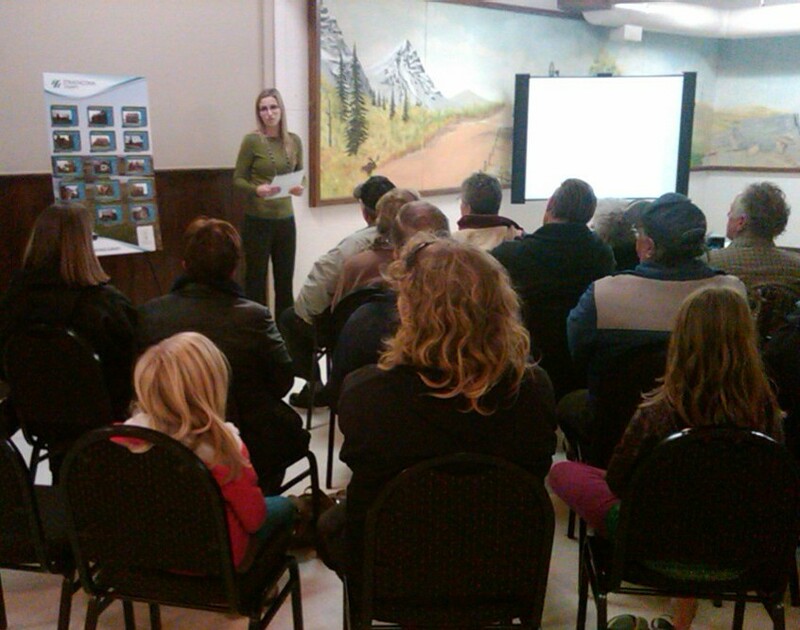 Special open house events were hosted by the County and input was encouraged during various community events (i.e. Senior’s Week Celebrations, Josephburg Chicken Supper, Wilderness Centre Fall Open House). I attended an open house at the Brookville Community Hall on October 17, 2012. At this event I witnessed a high level of community interest; a large number of area residents attended and they were all very keen to ask questions. If your municipality would like to complete a municipal heritage survey or a different municipal heritage planning project, please visit our Municipal Heritage Partnership Program website or contact MHPP Staff.